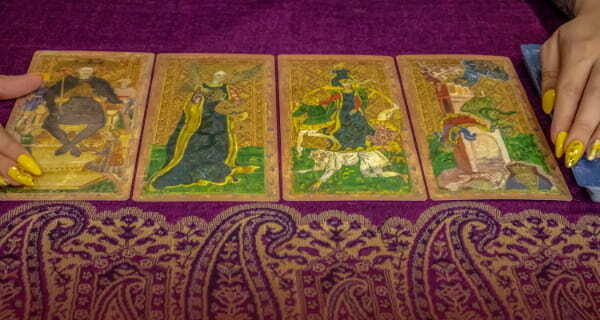 Your detailed weekly tarot reading is waiting! 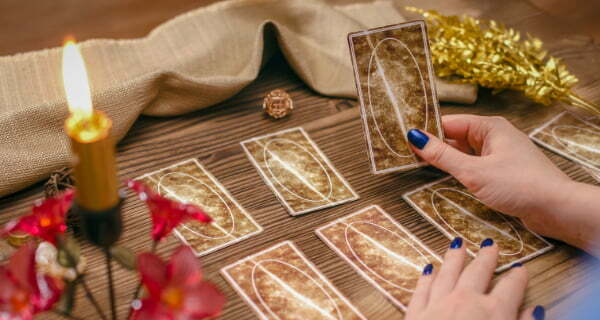 Read with one of our tarot card psychics, like Psychic Julia, today. Tori was inspired to produce these cards after a near-death experience. Her deck helps us understand the state of our chakras. She also believes that all the information we need is already within us. 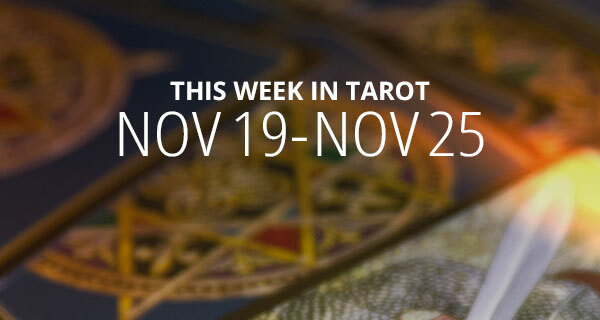 Therefore, it’s time to explore some chakra wisdom for this weekly tarot reading! Day (Mysticism/Violet): Ignoring signs, unknown motivation, and intuitive knowing. Is it wise to be the observer? Are you ignoring your intuition? You probably are! So, don’t respond to any questions unless you are certain of your answer. Evening (Confusion/Neutral): Confusion, spiritual support, consequences, and action. Through confusion we also find clarity. Therefore, there’s nothing to solve because confusion can be a good thing. But, can you learn to let go of needing an immediate outcome? Day (Impatience/Blue): Success vs. patience, unfolding, and revelation. Are you jumping the gun? Are you forcing something? Now is not the time to rush a decision. You have made your need known. Now leave it alone. Evening (Release/Neutral): Dwelling on the past, righteous anger, and judgment day. This card is about personal responsibility and the release of blame too. It’s certainly time to clear the debris in your life and move on. But, are you ready to face your past and let go? Day (Balance/Violet): Chasing illusions, compulsive behavior, neglect, and support. Running towards something may also chase it away. Be wary of being deceived by your desires too. Remember, you take yourself with you wherever you go, so is there any part of you that may be out of alignment with who you are? 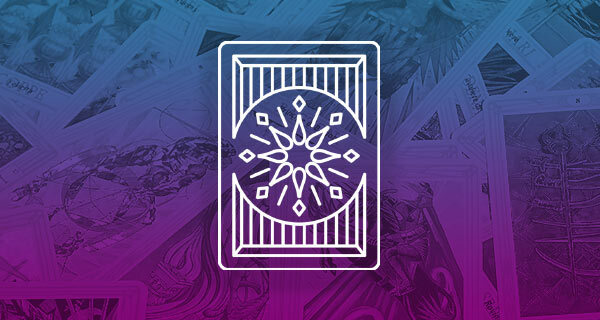 Evening (Destiny/Neutral): True love, taking a stand, positive omen, and radical thinking. Take a risk and dare to have the life you want. What tools do you need to form your own destiny? Are you even ready for your destiny? Day (Rejection/Neutral): Unsupportive environment, approval, and development. You definitely don’t have to be on the inside track. Instead, just be true to yourself. Are you working for or against your environment? And, what’s the purpose of your present solitude? Evening (Self-Worth/Orange): Greater knowledge, curiosity, being rewarded, and Divine love. People, events, and material objects are drawn to you. Aim higher, and you’ll draw even greater experiences into your life. Allow your energy to grow too. Remember, receiving is an action but how do you relate to the word, “deserving”? Are you ready to receive what others may not? Day (Quest/Blue): Being open to wisdom, imagined dangers, and commitment to your path. You may be on an unnecessary quest. Instead, allow yourself space for self-discovery. It’s certainly time to take a risk. Also, where in your life do you need to “walk the talk”? Evening (Complacency/Red): Self-nourishment, dreams unrealized, and lack of motivation. This card is a warning not to give up! Therefore, beware of coasting along in a situation that is not what you want. How can you redefine your dreams and stop procrastinating too? Day (Creation/Neutral): Magic, lasting transformation, awakening creativity, and owning your gifts.Your path is certainly an artistic one. Therefore, express your love in a tangible art form. It’s time to make decisions too. Are you waiting for someone’s permission to create your life? Instead, ask yourself what you need to see in order to claim your own gifts. Evening (Trickery/Green): Dance of scarcity, coveting possessions, and vulnerable heart. During trying times, things may be easier if you ask for help. However, don’t be disappointed if assistance doesn’t come from the place you expect. Are you afraid to tell the truth? How does your fear make you control others? What do you really need to say? Day (Facade/Yellow): Disassociating from yourself, reclaiming your life, and healing childhood pain. If you are unhappy with your relationships, it may be because you have a false sense of duty. Instead, give up being something you’re not. What have you done to heal your childhood pain? Evening (Gratitude/Violet): Friendship, deep love, nurturing, and unconditional love. Gratitude raises your vibration to a higher level. Remember, if you are unhappy in any relationship, it’s certainly in your power to change it. There is no mystery to being a good person; good people just do good things. So, who is the person you admire most and why? How can you live at their level too? Psychic Q&A: Do Relationships Ruin Friendships?